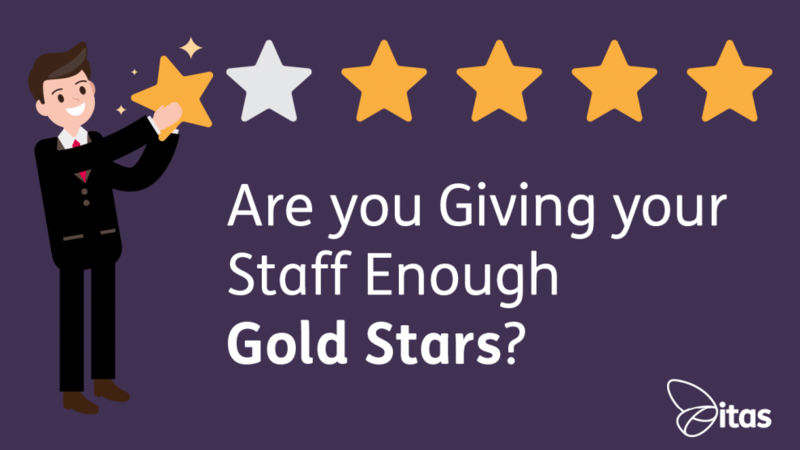 Are you giving your staff enough Gold Stars? Here at itas, we make sure that our staff know that they are valued. Why? When in school, everyone remembers the praise that they got from their teachers. Running out to show your parents that the ‘Brave’ sticker on your rammy jumper was the best feeling ever and was a great accompaniment to the weeping graze on your knee. As we get older, the feeling that comes along with that praise is much of the same. Drive productivity through praise. Productivity. Positive praise in the workplace has been proven to be a great way to boost staff productivity. If a person feels as though their hard work is being rewarded, then they will feel more inclined to do more in order to gain more praise. This may seem like a primitive and naïve approach to adult worklife, but often it is unconscious. Morale. Adults, similarly to children, respond to how other people are being treated around them. If a staff member is recognised for doing something well in their job, this can have a profound effect on the rest of the workplace. People crave reassurance that they are doing well, this is human nature. Often, without praise, we can find ourselves wondering why we even bother turning up. If the praise is well founded and deserved then you should find more and more of your staff ramping up their efforts, especially if the reward is worthwhile. Customer Satisfaction. Clearly, if we have noticed a difference in terms of productivity and morale, then you are very likely to see a boost in customer satisfaction which is ultimately the end goal in a business. If your staff are working like a well-oiled machine because they know that their efforts won’t go unnoticed, then this will influence how they interact with customers. Like with anything, there are drawbacks to giving gold stars. DO praise work when it is deserved. If someone is being commended for simply doing their job, then this is false praise. It’s transparent and will unfortunately be clear for other staff to see. Acclaim a member of staff for going over and above. For making that extra call at the end of the day, for pushing through a lead even if they think it might not pay off, for helping someone else with a problem if they can see they’re struggling. DO make them feel good. There’s a thin line between giving a seal approval and becoming patronising. Given that you’re looking to give praise, you will have people working under you therefore there may already be a tension there. Make sure that you sound genuine, that you’re not giving praise for the sake of it. DO personalise. Being generic is never particularly useful. If you are commending someone on their hard work, make it clear that you are talking about them. You have noticed something that they have done really well, so tell them. Reward them. There may be some people who hate the idea of public praise, so you need to make sure that you tailor this positive reinforcement to your staff member. Here at itas, we know that praise doesn’t just lie in prizes and rewards. Respect is at the forefront of our business and each staff member ensures that they praise each other daily, even if it’s just a simple thank you as acknowledgement of a job well done. However, if someone has gone over and above, then they do deserve material awards. Everyone loves a bit of bingo so why not incorporate this into your workplace. No, we’re not talking about getting our dabbers out on a Friday evening, as fun as that would be! Our office is split into working teams, and each team has their own unique jobs. Every week, the teams get given a bingo card with their jobs on. The first team to get their card dabbed off in the week gets to spin the fortune wheel – seriously, it’s a genuine prize wheel! Given that all we are doing to complete the cards is our job, the prizes are appropriate. These range from a visit to the drinks cupboard, snack shelf or even a cheeky late start! 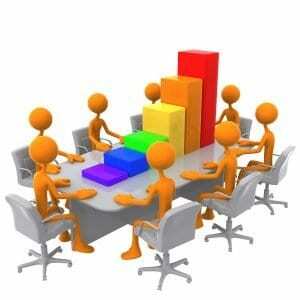 A small investment which can have a great effect on the competition of the workplace! Every Friday, we all go around the table and thank someone for doing something special for us through the week. This can be anything, from making cups of tea to helping clear down workloads. Just a small bit of praise from your peers can make you realise that people do notice what you’ve done, and it is appreciated. At the reasonable cost of £0.00, this is a real worthwhile venture. Of course, monetary rewards should come when we are going over and above. Productivity Points are given out when a staff member has completed something such as a blog, or hit their target in the month and are added onto wages. The more someone does, the more reward they will get. Gold Stars are given by customers responding to our services – staff will be rewarded for this and if your verbal praise has been put into place, the customer satisfaction pot should remain pretty full! Your staff are what keeps your business rolling, therefore they deserve recognition. If after reading this, you’ve decided that more can be done in terms of raising staff morale then do it. Please magpie our ideas and give them a go. I can guarantee it’ll be the most worthwhile investment you make this year! Don’t hesitate to get in touch and let us know what you do to improve productivity in your workplace – we’re all ears! Home » Sage Blog » All Sage Blog Posts » Are you giving your staff enough Gold Stars?